Thanks to HDF technology, Bauwerk combines the natural look and unique feel of authentic wooden floors with impressive performance and durability. This high-tech parquet offers all the advantages of a wooden floor with a traditional spruce base – but with a top layer of 2.5 to 3 millimetres. 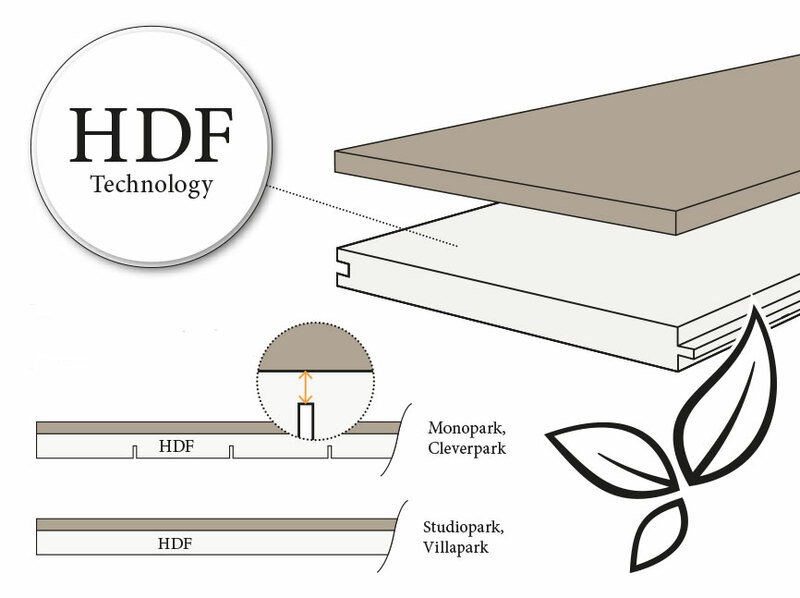 HDF bases make more sustainable and economical use of valuable high-grade wood possible. With their high density and fully bonded top layer, parquets with HDF bases have consistent form stability. Bauwerk’s HDF parquet can thus be sanded as often as parquets with classic softer wood bases that need a thicker top layer. The effective usability and durability of parquet is not primarily defined by the top layer thickness; instead, it is determined by structural quality, perfect top layer grip and precise processing. Parquets with HDF bases are fully bonded and designed in a way that allows them to be sanded as often as parquets with classic wooded bases despite the thinner top layer. The high density of the base and low likelihood of shrinking and swelling guarantee high and persistent form stability. This guarantees risk-free use of floor heating and controlled ventilation equipment. Thanks to its excellent heat transmission resistance of 0.05 m2 K/W, HDF parquet is ideal for floor heating. Even after multiple repair procedures, no visible marks of individual spruce strips will appear on the wear layer. As a wood-processing company, Bauwerk Parkett is aware of its responsibility towards the environment, nature and humanity. 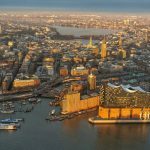 With HDF technology, Bauwerk ensures optimal use of timber and raises the bar for preservation of resources and sustainability. Moreover, like all Bauwerk products, HDF parquet is 100% healthy for living (formaldehyde emissions E0.5 EPFS Standard). It is suitable for Miergie eco-buildings and building standards such as Cradle to Cradle®, Leed and Sentinel Haus. If requested, FSC certification can be obtained for HDF parquet.